Creative, imaginative and different. Unexpected! 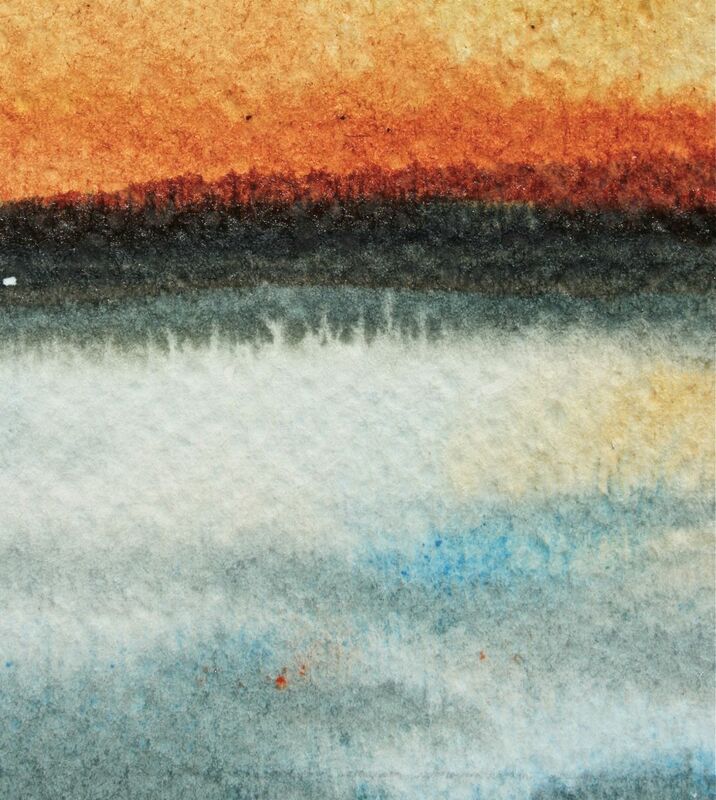 I like to see some surprises in my watercolour landscapes. Both landscapes I’ve shown, have illustrated a creative use of Line. Not Line use in the traditional, regular sense of Line work, but in imaginative ways that make the paintings resonate within. Watercolours Blurred Lines Landscapes fulfils for me, the criteria of ‘off the beaten track’ of the typical watercolour techniques and application. This painting is very Impressionistic, borderline abstract. Yet, there is still a sky above, still some water in the foreground, and a land mass set against the sky. Within the entire painting there are only Blurred Lines. Most of my work will be dominant soft and blurry with about 20% or so Sharp Lines and edges. This, with its all Blurred Lines is a unexpected creative surprise that I am pleased with. 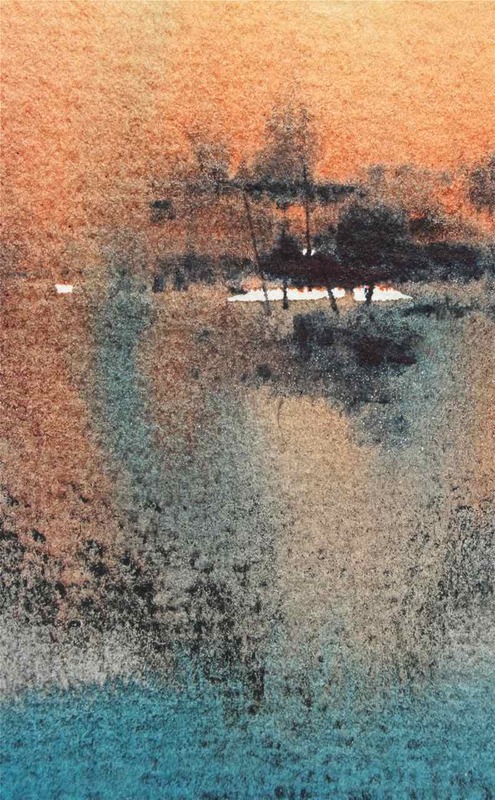 Implied Line Impressionist Watercolours, below, infers (Implies) a horizontal line. Where we see the stark white horizontal strip along the top third – our mind then jumps to ”fill in the missing Lines” and we then perceive this as being a horizontal line from left to right, edge to edge all the way across. Our mind is just trying to be helpful. I don’t want my work to be stuck in a rut, doing the same thing everyone else is doing. Or has done already. I’ll mix my media, use watercolour over monoprints, over black and white photographs, use impressionism, break all the rules, and see what happens. I’ll use the element of design, Line in non traditional creative ways. Sometimes you get some fantastic results. Other times, no. But you do learn what didn’t work. My encouragement is: Use the various types of Lines with creative imagination, its a great tool to achieving more exciting and dynamic paintings! I love it when the colours soften and feather into each other like this. Thank you very much! Hearing your feedback is quite helpful. Thank you for stopping by and having a look at my website, I appreciate it!